Here are just some of the Crewing Posts for May 2017 from the Lovesail members. If you are interested in any of the posts then just log onto your Lovesail account and view the Crewing Section. If you do not have a Lovesail account yet then here are some of the testimonials to tempt you. 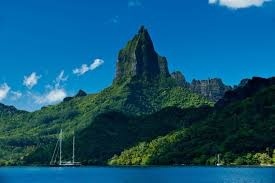 If the very sounds of French Polynesia make your timbers shiver, consider the prospect of a part share in a SoPac boat – something fairly cheap and very cheerful. I’m looking at 36-40′ boats around Tahiti for £35-60K online with view to heading out towards the Autumn to recce a few, buy one, keep it in French Pol for a while then head West, ultimately to NZ. Would love to share this adventure. I am moving Dutch Courage of Cowes (Southerly 115) from Rochefort to Santander, and probably onto to Gijon between 8 May and 25 May. Will drive down to boat, although need a couple of days to sort stuff out. Could also pick crew up from La Rochelle (Airport, bus to town centre). I would normally do this alone, but am happy to take 1-2 crew if interested. This is not a long trip, and would sort someone wishing to get watch experience including night sailing. An interest in tapas and Wine would be a bonus. Dutch Courage has twin forward crossover berths, and if needed, a larger double berth converted in the saloon. I am based on the East Coast, but am in Lymington this weekend (22-23 May) and on the IOW the week after. Would rather have a brief glass of something face to face with anyone interested before committing as I’ve not used this service before. June 25th depart allow 3-6 weeks to Azores. From the Azores to Lisbon end of August. Bluewater boat with Iridium Sat phone / AIS (AIS also in lifejackets) / Personel EPIRBS / Ships EPIRBs / Ocean safety 4 man liferaft / Dan Buoy / Oscar sling / Well fitting and tight Jack Lines / Tethers / 2 x EVO autopilots / Very comfortable and well founded yacht. Would you like some sea miles? This is not a delivery so waiting for ideal conditions (swell and wind) is the way I play it. Crossing Biscay (see my profile photos) it was cruising chute most of the way. 1 crew needed Villamoura – Ayamonte – Maderia – Azores. 1 crew needed Azores – Lisbon. Lovesail.com is an online dating and social networking site for sailing enthusiasts. Join us to meet other like-minded sailing soul mates. This entry was posted in Crewing Posts and tagged boating crew, crew, crewing, crewing friends, crewing opportunities, crewing posts, crewing posts may 2017 by Erica. Bookmark the permalink.